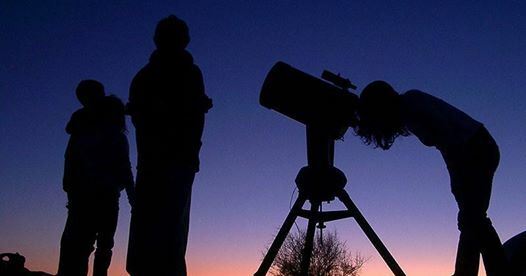 The NoVES Navigators and NoVES Adult Enrichment & Civic Action Committee invite NoVES members and friends to an exciting evening of star gazing at Sky Meadows State Park in Delaplane, VA on Saturday evening, September 16, 2017, starting at 7:30 p.m. The 'Astronomy for Everyone' event is led by volunteer Ambassadors of NASA's Jet Propulsion Lab and begins with a half-hour 'Junior Astronomer' program for children ages 5-12. Immediately following the kids' program will be a multi-media presentation on the latest in U.S. space research followed by a night sky tour with a Volunteer Star Guide. The evening will conclude with looking at deep space objects through large telescopes provided by volunteers. Feel free to bring your scope or binoculars for your own sky exploration. If the sky is cloudy, only the 'Junior Astronomer' and multi-media programs will be presented. Attendees are invited to bring blankets, chairs and a picnic style meal as there is plenty of room to spread out, relax, and enjoy the natural surroundings (including sky phenomena). Additional information can be found here.